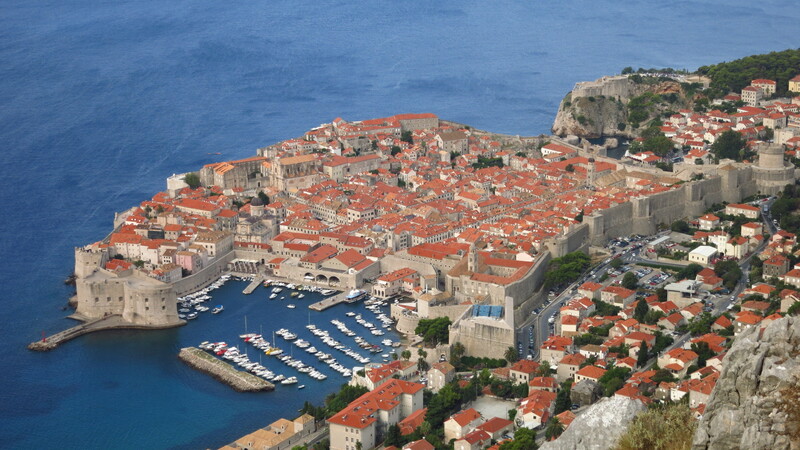 King’s Landing and also thousands of tourists’ landing, as Dubrovnik is one of the most popular destinations on the Mediterranean area, both for cruise ships and people coming by car, bus, plane and even hitchhiking. That steady stream of people constitutes the main revenue of the city, which reflects on the prices for accommodation. 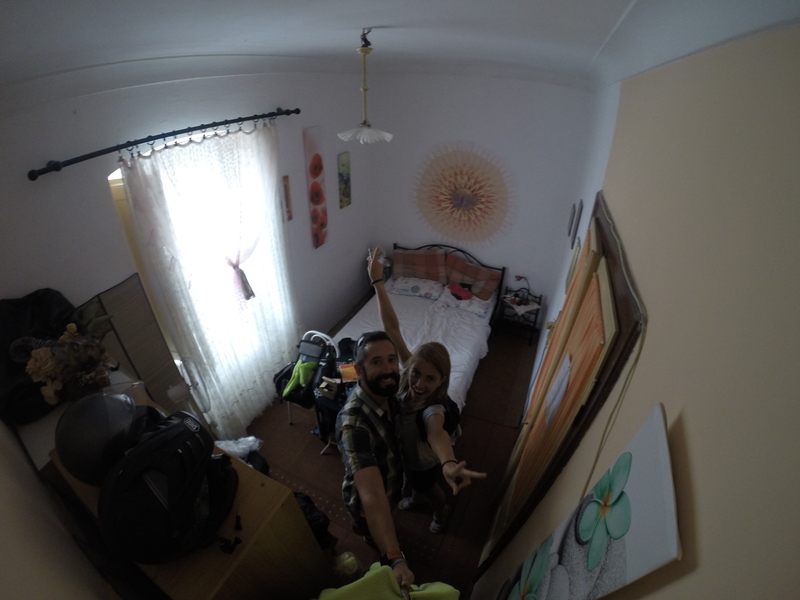 The cheapest we could find was a room in a house about 20 minutes on foot from the old town, with a shared bathroom and kitchen, which was not bad, but compared to what we had found so far it doubtlessly was the worst value for money. It was only accessible from a pedestrian alley, so the closest I could get the bike was the car park of a shopping centre opposite the house where it spent the night chained to a metal staircase. We had considered visiting the island of Mljet, which Josep had highly recommended, but the weather forecast for the day looked grim – strong winds, thunderstorms and showers again, so we decided to stay and visit the city, which was the plan for the previous day if the journey had not taken so long. Despite being packed full of people on the summer season, the old town is definitely worth the visit. Surrounded by high and thick stone walls, its streets are a labyrinth of narrow and steep backstreets and alleys where one can easily get lost and find rare corners away from the hustle and bustle of the main streets and wander around without seeing other tourists. 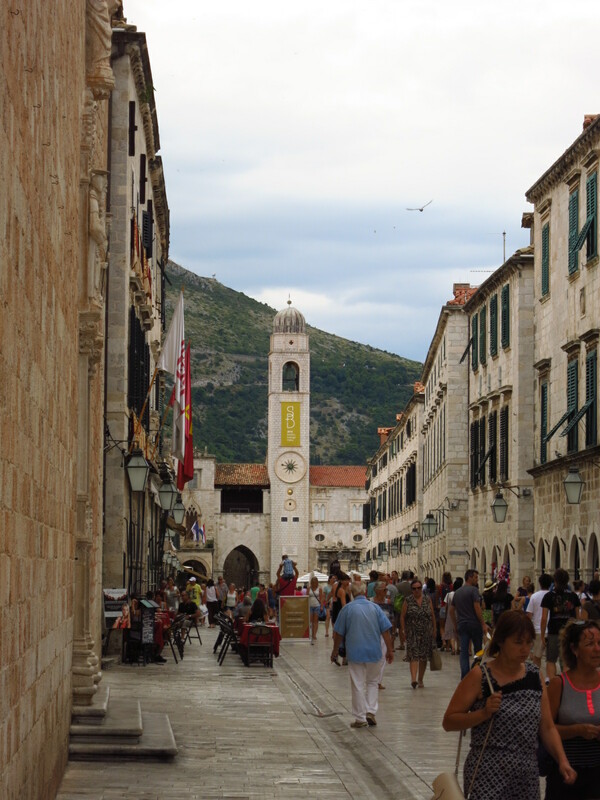 It takes time to explore the whole city, even more if you want to take a tour of the walls or visit its many museums. Shortly after crossing the main gate it started to rain, so we followed a French cruise party into what seemed to be a memorial to the citizens that had given their lives defending the city during the war. The girl at the entrance assumed we were part of the group, so we saved a few Kuna that would later be reinvested in a cold beer, and we benefited from the guide’s explanation about how the city had suffered the war. The old town has been a UNESCO World Heritage site since 1979, and even though as early as 1970 the whole city was demilitarised so that it would not be target in the event of an armed conflict, in 1991 it was attacked and besieged by the Yugoslavian People’s Army following the declaration of independence of Slovenia and Croatia. At that time the country did not have a regular army, so it was down to the citizens to defend the city for the seven months that the siege lasted, until it was liberated by the newly-founded Croatian Army, created from the police force. The shelling of the city had a devastating effect, and even though most of it has been restored today, it is easy to see the extent of the destruction if you visit the fort that overlooks the city, from where many new roofs can be spotted in the old city. 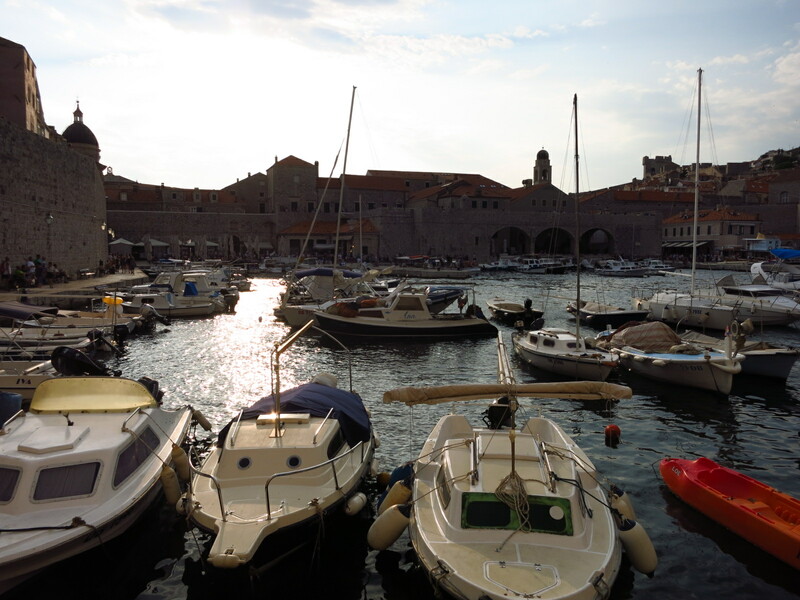 There is plenty to see and do if you have the time and the money – boat trips to the islands, great restaurants, a couple of bars perched on the rocks outside the walls facing the sea, beautiful beaches, night promenades… You can even take a Game Of Thrones tour. No wonder the city attracts so many people these days. As usual, a lot more pictures on the Facebook page. This entry was posted in Balkan Adventure 2016, Travel and tagged Dubrovnik, Game of Thrones, Honda CRF 1000L by Kilian. Bookmark the permalink.